In 2 U Personal Training is all about… you!. Offering you professional and friendly one-on-one personal training like no other! 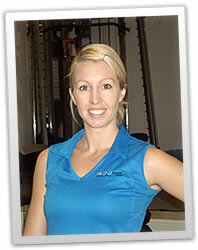 Hi, my name’s Julie – I’m the owner of In 2 U Personal Training. It’s about you achieving the results you have always longed for, or possibly just the fact you need to start putting yourself first. At the end of the day… it’s your health and your body. We offer you professional and friendly one-on-one personal training like no other, in our boutique personal training studio – located in Robina on the Gold Coast. With over 7 years working and training in the fitness industry, I have a passion for helping everyday people reach their health and fitness goals! Being a qualified Fitness Specialist, plus having years of experience in competitive body sculpting, means I can help you achieve amazing body transformations. We offer personal one-on-one studio training with workouts tailored to your wants and needs – where you won’t get bored, and will have no choice but to get real results. No matter your age, size, gender, and fitness level – I can show you that none of this stops you from being able to achieve great results like many of our happy clients. Be sure to call Personal Training Robina and start reaching your goals sooner!